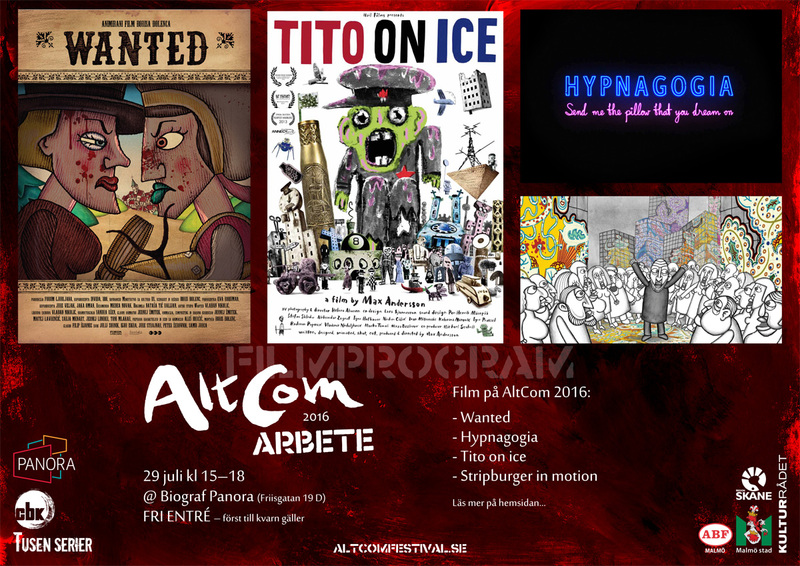 The AltCom film program hads now been set! It will be Friday, July 29, 1430-18 @ Panora (Friisgatan 19 D). Films start at 15. There will be NO ENTRANCE FEE and no reservations, so it’s first come, first watch movies. At Panora, you can also enjoy the Aniara exhibition by Knut Larsson. Posted on July 17, 2016 July 14, 2016 Author Mattias ElftorpCategories filmLeave a comment on MOVIES! The festival anthology arrived from the printer yesterday! Posted on July 14, 2016 Author Mattias ElftorpCategories anthologyLeave a comment on The anthology is here!  The name AltCom is an abbreviation of Alternative Comics. 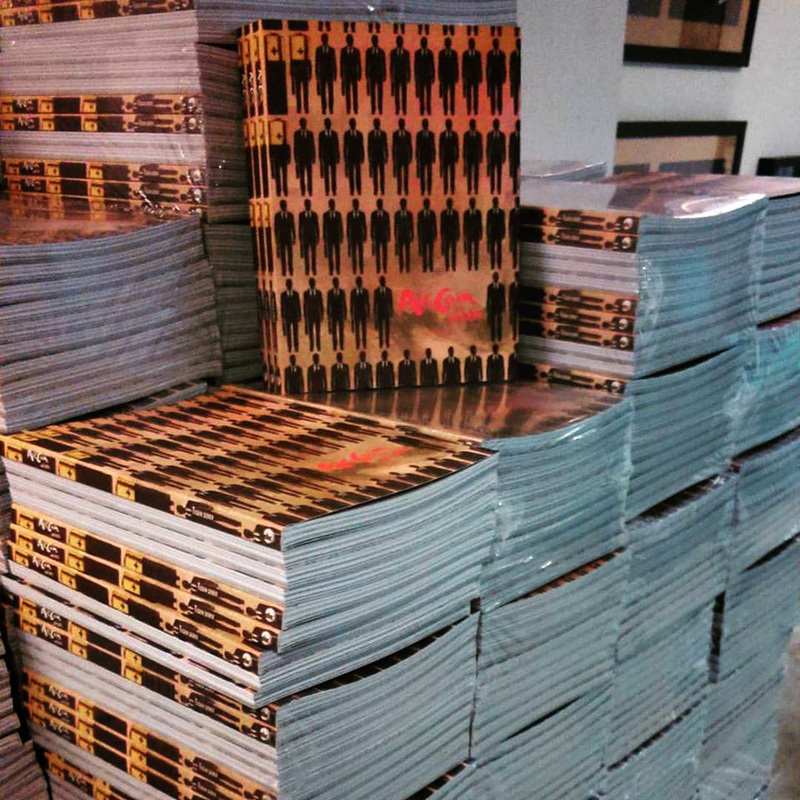 To us, “alternative comics” means making and/or publishing comics that aren’t first and foremost commercially viable. It’s more important to do something that feels meaningful and interesting rather than something that will make you rich. This is why what you’ll find at the festival are smaller publishers and individual artists rather than the big commercial ones. We also want to give visitors a chance to find new things, to experience what used to be alien or unknown. Because we don’t believe the myth that says you have to be afraid of what you don’t know. We don’t believe that everything needs to be familiar or safe to be appealing. Nor do we think that art (a term which of course includes comics) has to be appealing or adhere to “what people want”. This doesn’t necessarily mean that you won’t find any comics creators whose works you’ve seen before. 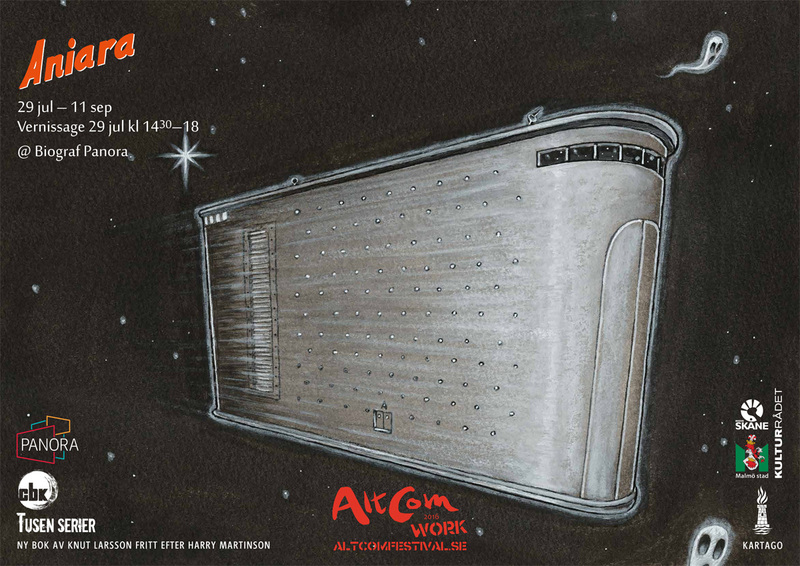 This is the fourth AltCom in its current form, and there’s something to be said for continuity as well as for innovation. So this year’s guests will be a mix of familiar and new faces. All to make AltCom as meaningful and interesting as possible. Posted on July 1, 2016 July 2, 2016 Author Mattias ElftorpCategories UncategorizedLeave a comment on Back from CRACK! 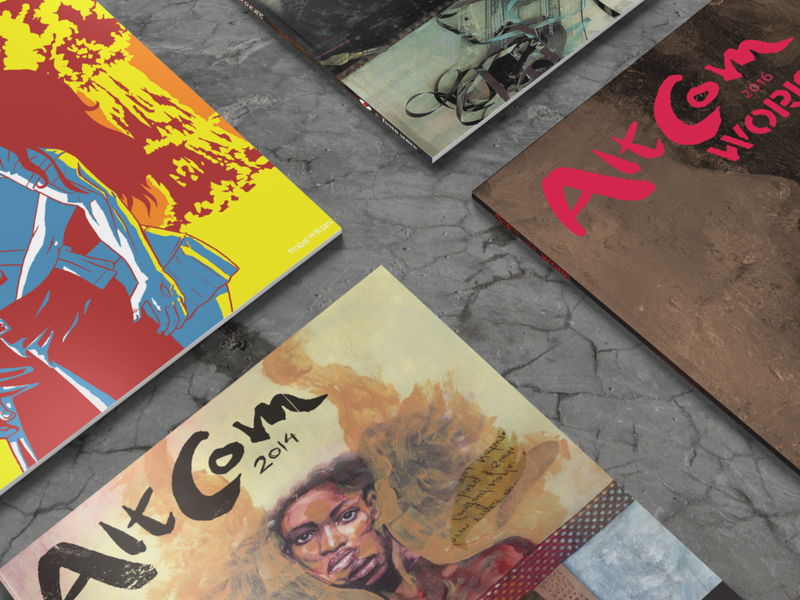 For each AltCom since 2010, we’ve made a festival anthology with comics by artists from different countries, making their own interpretations of the theme of that year. Edit 2016-03-31: We got the fundeing for the book through Kickstarter! So we know now that it is happening! 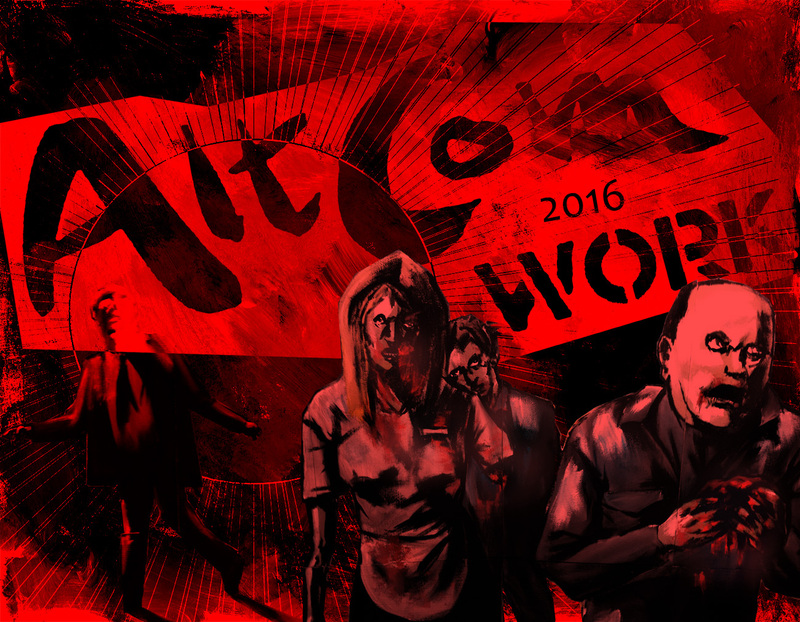 Posted on February 1, 2016 March 31, 2016 Author Mattias ElftorpCategories anthology, newsLeave a comment on AltCom 2016: WORK anthology – call for submissions! 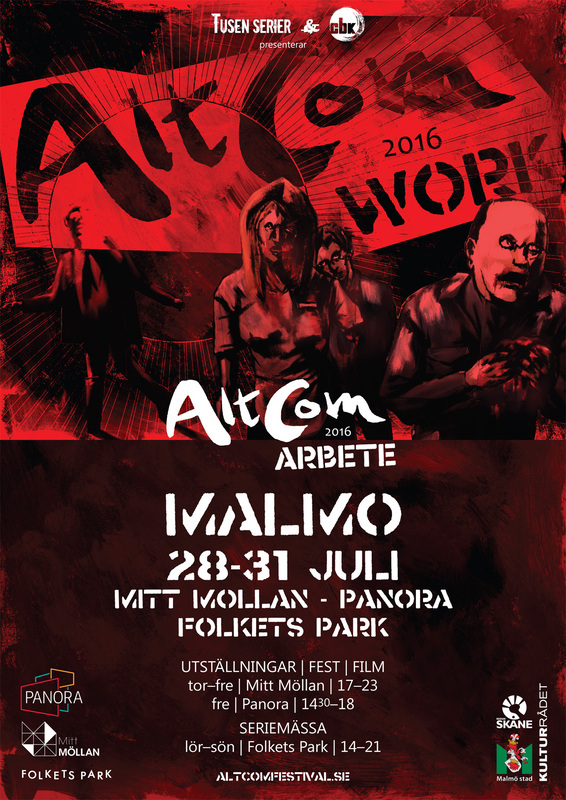 The AltCom 2016 festival will happen, and it will happen July 28-31. The theme for the festival will be WORK and the whole thing will be organized by CBK & Tusen Serier with support (so far) by the City of Malmö. Thursday & Friday will be based around exhibitions at Mitt Möllan. 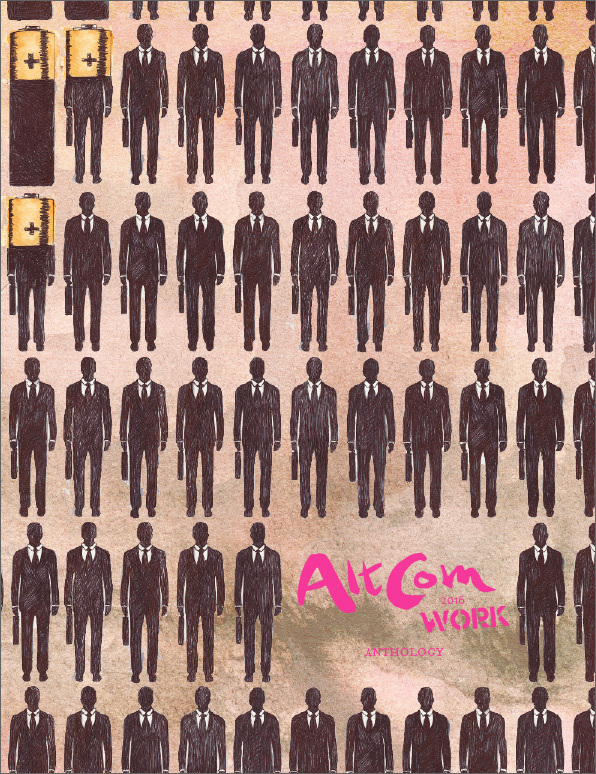 One of the exhibitions will be Attention: Work! by Stripburger. Saturday & Sunday will be the comics fair in Folkets Park. We also have some ideas for more exhibitions, talks, a film screening and some of the guests, etc, but we won’t disclose all our secrets yet, and there are also a few things we still don’t know. For example, we don’t currently have the funding needed for a festival anthology, but we’re working on it. So reserve these dates in you schedule, and check this space in a little while to follow any further developments.